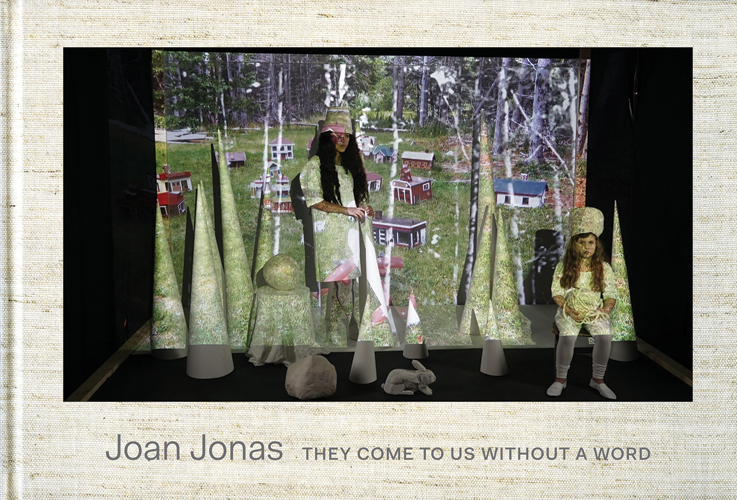 In conjunction with Joan Jonas’s project for the US Pavilion at the 56th Venice Biennale, the MIT List Visual Arts Center has produced They Come to Us without a Word. Designed in close collaboration with Jonas herself, the book features an extensive collection of images selected by the artist, including stills, drawings and photographs. Also included is a foreword by Paul C. Ha (Director, List Visual Art Center); essays by Ann Reynolds and Marina Warner; a major new text by Jonas; and an interview with the artist by Ingrid Schaffner. Cloth, 12 x 8 inches, 160 pages/180 color. $50, available for purchase HERE.